Australia’s top medical news program made some startling revelations this week. The most surprising finding is that there is a 45% higher mortality risk for people with Body Mass Index (BMI) of 23-25 than for people with a higher BMI. BMI is your weight in kilograms divided by your height in metres squared. Yet, those who believe in using the BMI had always claimed that being over 25 was overweight ( a BMI over 30 identifies a person as “obese”). The Health Report on ABC Radio National on Monday 14 March 2016 revealed several important scientific findings that present a new challenge to conventional thinking about relationships between higher body weight and unhealthiness or mortality. Professor Bill Leslie who is Professor of Medicine and Radiology, University of Manitoba in Canada is one of the authors of this latest study, which extends findings on previous studies of the so-called Obesity Paradox of people who are overweight according to the BMI being better off healthiness-wise than people that have a so-called “normal weight”. According to Professor Leslie, his study went beyond looking at body mass index, and looked also at the composition of the body, how much of the body is actually made of fat versus how much is lean tissue. And two individuals of identical weight and height can be very different in terms of their physical fitness and the amount of fat that they are carrying and where they are carrying that fat. For example, somebody’s risk for developing diabetes based upon the percent fat that can be measured in their abdomen from a bone density scan, can be predictive of their risk for developing diabetes very strongly and is predictive beyond their weight and BMI. According to Leslie, fat under the skin and around the buttocks is probably relatively benign comparatively. It appears that the fat-muscle ratio and the type of fat that the body stores are factors just as critical. According to Leslie, “there is an interplay between fat and muscle, and so one of the themes in this work is that having excess fat but at the same time too little muscle is a double hit to a person’s health status. This is something that goes by the term sarcopenic obesity. Sarcopenia, too little muscle tissue but still being obese at the same time, so you get the worst of both worlds; inadequate muscle but excess fat”. In a separate segment of the same radio program, The Health Report broadcaster Dr Norman Swan interviewed Dr Paul Lee from the Garvan Institute of Medical Research about Brown fat, the human body’s “central heating”, which appears to help regulate blood sugar. temperatures at certain times, and particular physical exercises. Cold showers may be in order. Previous studies (not referred to in this ABC Radio National program) have already linked exposure to cold water with improved circulation, stronger immunity, easing of stress, reduction in muscle soreness, and stimulation of weight loss – when accompanied by a program of weight-bearing exercise. 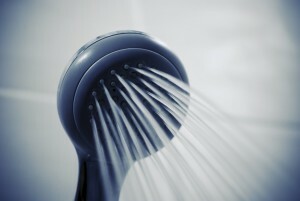 According to a study by the Joslin Diabetes Center, a Harvard Medical School affiliate, cold showers can promote brown fat activity. Ronni Kahn, CEO and Founder of OzHarvest speaks out about the new National Food Waste Strategy.